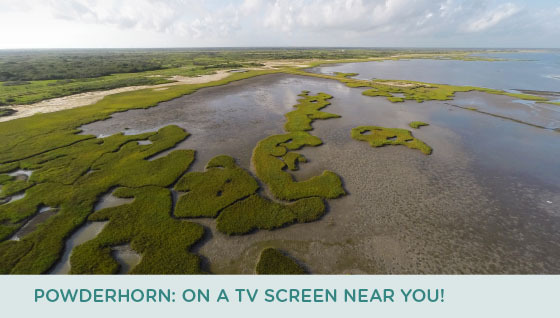 We’re at least a few years away from regular public access at Powderhorn Ranch, but thanks to the wonders of television, you can get a feel for this coastal treasure right now! The Texas Parks and Wildlife PBS television series recently wrapped up production on a segment about this spectacular coastal acquisition that will one day be a state park and wildlife management area. Thanks to the leadership of Texas Parks and Wildlife Foundation (TPWF), a coalition of organizations came together in a private/public partnership to make this acquisition possible. The TV segment will air statewide on PBS stations this week, but you can view the video right now! When spring rains turn into dangerous flooding, Texas Game Wardens are at the ready. Flooding last month devastated several parts of north and east Texas. Thanks to specialized training and equipment, Texas Game Wardens are uniquely positioned to help save lives. 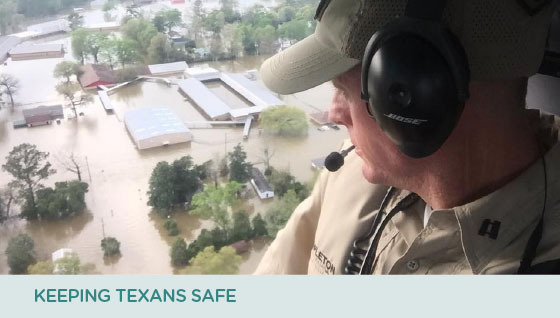 Just last month, Texas Game Wardens conducted 149 search and rescue operations and did more than 1300 safety checks, making sure fellow Texans were safe and sound. Providing specialized gear for these types of emergencies is just one of the ways that TPWF supports Texas Game Wardens. You can help by becoming a TPWF member today. Congratulations to Patty Brinkmeyer of Brazoria for submitting the winning photo for March! 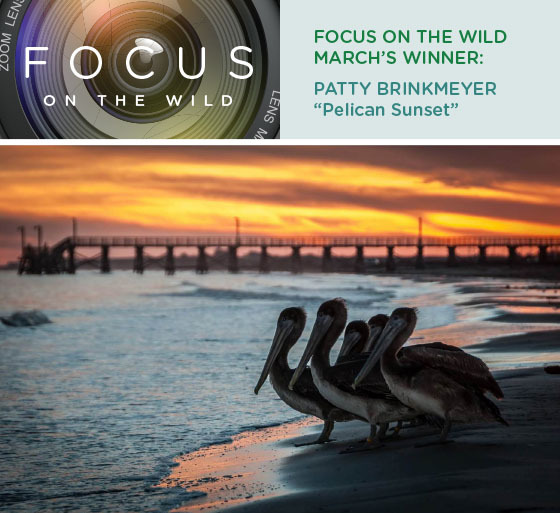 Patty is the manager of Quintana Beach County Park and captured this compelling shot of pelicans as they were being released by a local wildlife rehabilitator. The April photo contest theme is Texas Wildflowers. Thanks to a mild winter, and some timely rainfall in the late fall and early winter, this year’s wildflower season promises to be spectacular. To have a chance at winning, be sure your photo fits the theme and is submitted by April 25. Even if you submitted a photo previously, you can still enter this month. Read the contest rules to find out more.